High-performance ARM solution in a miniature form factor. Advanced video and graphics enable high-end multimedia applications. Wide range of high-speed interfaces delivers extensive connectivity. 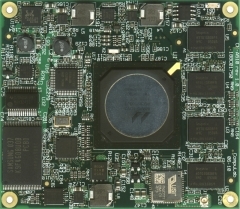 The CM-A510 is a small computer-on-module (CoM) / system-on-module (SoM) board designed to serve as a building block in embedded applications. The CM-A510 has all the components required to run most up to date Linux operating system or its derivatives. Ready-to-run software packages are available from CompuLab. 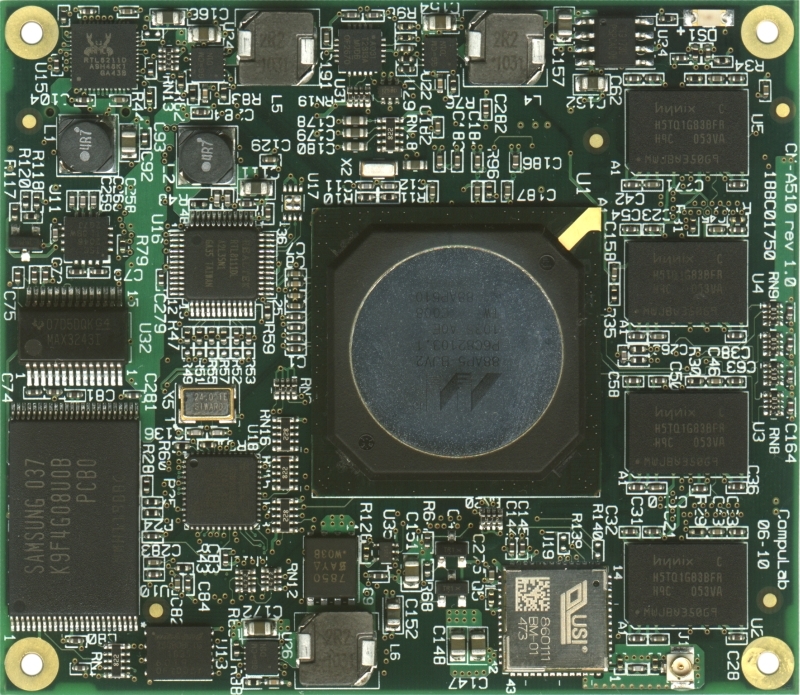 The small size and low power consumption of the CM-A510 allows its integration into portable and space-constrained designs, while its low price makes it an ideal selection for cost-sensitive applications. The CM-A510 delivers fast processing and a rich multimedia user experience, in a low-power design that offers fast Internet browsing, HD video playback, 3D graphics and high-speed connectivity. 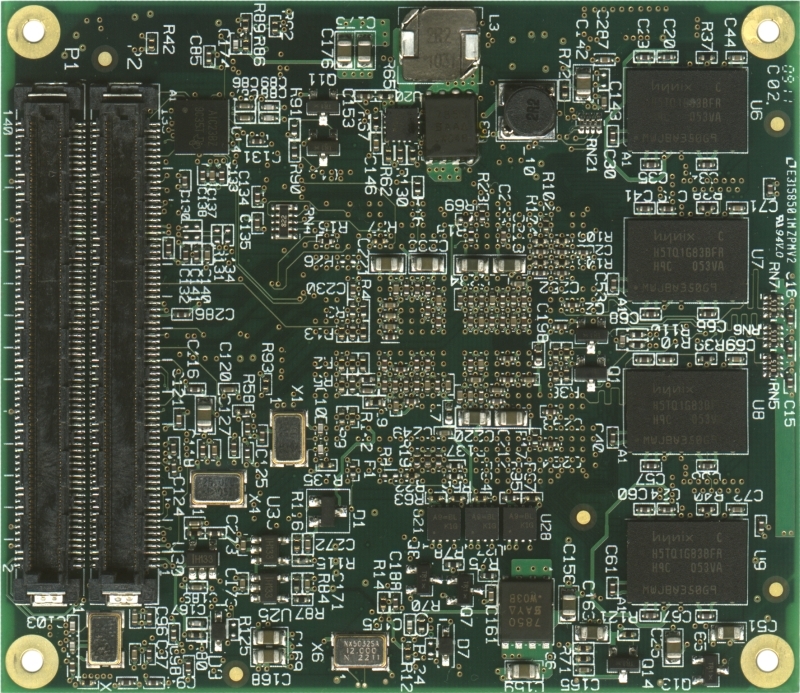 CM-A510 is based on a high-performance, low-power Marvell Armada 510 system-on-chip with an ARM v6/v7-compliant super-scalar processor core, hardware graphics processing unit, video decoding acceleration hardware and a broad range of peripherals. For embedded applications, the CM-A510 provides a variety of display interfaces, PCI Express bus, two Gigabit Ethernet ports, high-speed USB ports, SATA interface, serial ports, general-purpose I/O lines and many other essential functions. The user interface is supported by an enhanced graphics controller, USB interface for keyboard/mouse and an audio sub-system. For feature support status, please refer to O/S Support Coverage Map. CPU Marvell Armada 510 CPU, 800 / 1000 MHz. PCI Express bus PCI Express Base Specification, Revision 1.1. One or two lanes. Interface Implements 802.11b/g/n wireless connectivity standard. For previous versions of the CM-A510 software packages, please refer to the CM-A510 software archive.